Russell Bowman Art Advisory is preparing to open an exhibit of Jeffrey Goldstein's collection of Maier's work on April 15, and 40 12x12" contemporary prints are now being offered for pre-sale, before the opening of the exhibition, for $1,800 each in a limited edition of 15. In addition to that, 10 vintage works (photos that Maier liked enough to have printed herself, while she was alive) are being offered for pre-sale for $5,000 each. The body of vintage prints is strikingly small, considering the immense volume of photographs Maier shot but never printed. Apparently, for her, it was the process of taking the photographs that tickled her fancy--not the finished product. It is the finished product, however, that has seduced the rest of us. If you've got an extra grand (or five) laying around, you should probably buy a print now. If not, make sure to check out the exhibition at Russell Bowman next month to experience a long-gone Chicago vicariously through Maier's eyes. you are trashing the integrity of a true artist. Seriously -- Russell Bowman & Jeffrey Goldstein are indeed trying to ride on Vivian Maier's coat tails. What a bunch of bird brains! Is it always about the money? Greetings, to answer the question about money, presently, yes, there is a real issue for us to raise funds. We're getting to the point where we cannot move forward without doing so. I have been paying entirely out of my own pocket on this project since May of 2010. There's the hard cost of a staff, equipment, incorporating, state and federal and legal cost,printing silver gelatin and insurance, archival storage, travel and so forth. Plus the initial cost of purchasing the collection ( with interest I might add). To handle this in a professional manner it takes professional people and professional equipment and a tremendous amount of time. All of this has a cost every step of the way, everyday. Hey, to be clear, I'm not crying here. Not at all. I have 100% accepted and embraced this project and all aspects. I appreciate your concerns. Since we haven't received a single complaint about how and what we're presenting, and the quality it's being presented at, then I think we are doing the job right. Come to the show at Bowman's and if you feel I have fallen short on the presentation and deserved quality of Vivian Maier's work then I promise to entirely rethink the mission here. An example of people not understanding the cost, we are preparing a catalog for the Bowman show that will be available for $40. 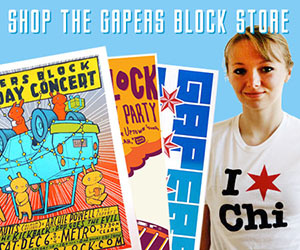 That catalog, all said and done, we hope won't cost us more then $40 each to print (blurb book, with premium paper). We are willing to break even, at best, so we can get the word out with a beautiful essay and some formal thoughts. So people can have something affordable to take home with them from the show if they so wish to. Quit possibly the catalog will lose money but there's a wonderful aspect of a show catalog that outlives an exhibition. Meantime,to do this right and to keep moving Vivian Maier's best foot forward we have to spend and at times make money. The site and project has been and will continue to be a collaborative project in nature, which to date has given what I believe to be great results that I'm proud of in getting Vivian Maier's work out there. We're presently involved in talks with a couple of non-profit projects/donation type venues that once they are culminated we will post. On the flip side will cost us time and money to participate but serve worthy goals. Cool. It's a give and take project. My background, in case your wondering is 30 years plus in the Chicago art scene working with, and friends with, some of the leading artist and art related people in the field. I also, at least before this project, besides being a cabinetmaker by trade, was a painter (art, not house). Thanks for your concerns, I take them seriously. Thanks too for taking the time to read my few brief thoughts and I hope at least for now that I have put your concerns to rest. I would be happy to speak in person with any one who stops by the Bowman show. The tag line in itself implies thirst for cold hard cash and profit. "Get Your Hands on Some Black & White Gold"
and now you have a chance at a piece of the pie." around, you should probably buy a print now." You said, "I have been paying entirely out of my own pocket on this project since May of 2010." If Vivian Maier's work is so valuable? Why not just hang on to it yourself. Why not just say it -- That, you bought the works of Vivian Maier in hopes to turn a profit. And realistically, what's the rush? 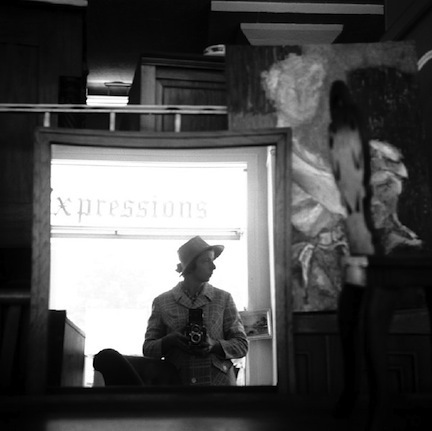 Vivian Maier herself had her works in storage for 40 plus years. Why not get volunteers involved to help you, and donate any profits to a more worldly cause? I mean, after all -- Vivian Maier was a Nanny. Dr. Plywood, keep in mind that the article was not written by Jeff Golstein, it was written by me. Any infomercial/snake oil salesman flavor you may have derived from this article is from my perspective-- not Gapers Blocks' and not Jeff Goldsteins'. Take it with a grain of salt. Yes -- I'm well aware of who wrote the article. I was addressing Mr. Goldstein, and asking what his truest deepest intentions are in producing and exhibiting Vivian Maier's work. Ah, yes. Question away then. Keep 'em honest. Thanks for reading. 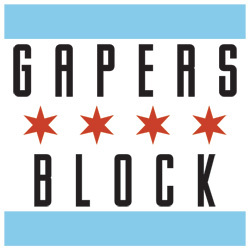 I want to thank Kelly Reeves for her unsolicited story and supportive response on Gaper's Block. There's too much beauty, synergy and work in this project for me to feel the need to become engaged with Dr. Plywood. One would assume since he feel his life's experience has put him in a position to cast public judgement based on your own morality, then one would assume he has the credentials and experience to back up his thoughts. So I would like to ask Dr. Plywood to share the answer to the two questions I have. The first question is, what exactly is your art background( are you a practicing artist, work to be seen where?, curatorship or archiving experience, art catalog production experience, art history studies ( any abroad ?) , involvement or have worked with any artist that are known on a national or international level, self-employment history dealing with art and aesthetics, direct involvement or experience with any gallery owners or auction houses, any art community involvement like the donation of time and/or work to non for profits art organizations, or any other art experience that you wish to share. The second question is, what is your real name? * My art background includes all of the above mentioned. ...answering questions with questions - and boasting. you've made yourself very clear, I understand. There is no further need for a response. Dr Plywood sounds an incredibly bitter,jealous man.If somebody makes money for unearthing this treasure then they deserve it.Let me guess Dr you have a leica ?? ?